Back to where I started. Kind of. Got the motorhome back from the shop the other day, must have been Friday afternoon. He did the best he could, and it did run considerably better when I picked it up. However, the intake manifold started leaking coolant. It was plain to see that it was. He also told me that the EGR Valve had a vacuum leak. The tuning cost me $50, but I gave him $60. He said once I get those two things fixed to bring it back to him and he'll fine tune it for free. Can't beat that, other than the (minor) hassle of dropping it off and picking it up. 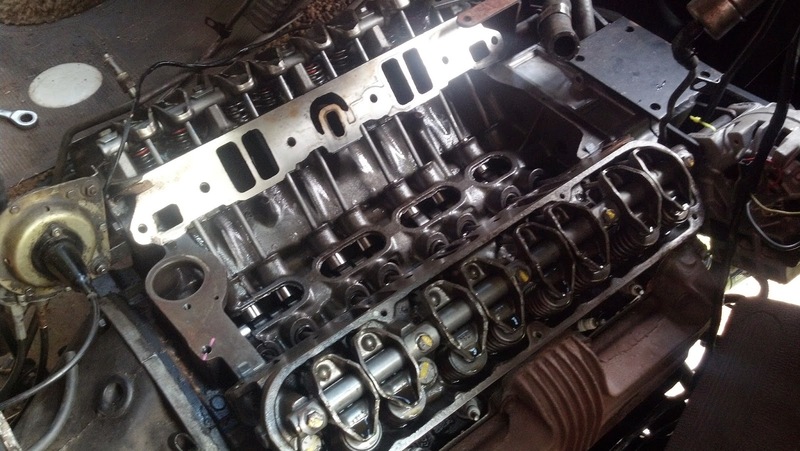 The picture above is the engine with the intake manifold removed once again. I did that this evening. I was really tempted to just leave it with him and pay him to do it, but I knew it's a simple enough job (now) and that it'd probably cost a good amount to have him do it. I've already got it put back on. 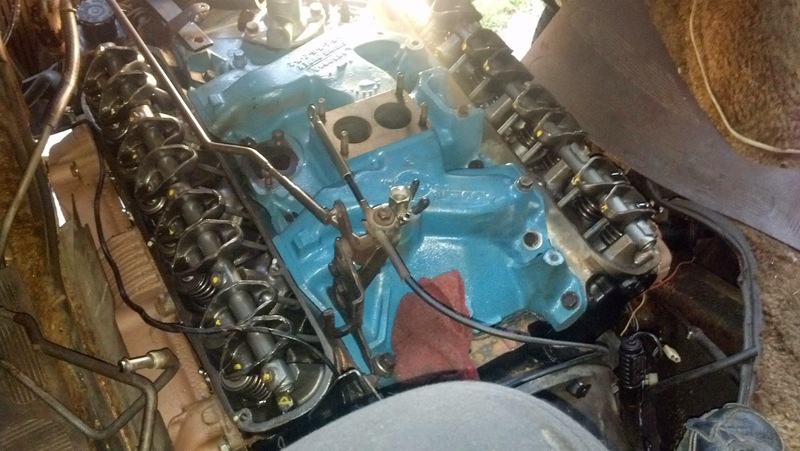 I used RTV on all the gaskets this time and things should be great. I torqued all the bolts down to spec. I admit, I skipped that part last time. With luck I'll have no more coolant leak and no other vacuum or exhaust leaks from the intake. Still have to put the carb and whatnot back on. I'm letting it sit for 24 hours before filling it back up with coolant anyway to let the RTV cure. I also still need to address the EGR valve leak. I know all of these engine posts are boring, and far from what this blog was supposed to be. Hah. I'm fairly certain the end will soon be in sight and I can start posting pictures and stories about actual adventures. The blog is kind of the tell all. I promised myself I wouldn't make anymore videos on YouTube until I'm living in the motorhome. Hang in there. I'm almost there!